OK, so what are we talkin’ here? Hamburgers? 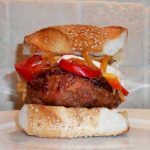 It’s time to stop already with the predictable, unoriginal Burger recipes and put a little zest into your life. In other words, it’s time to get Italian. Put on a "Will & Anthony Nunziata" CD. Break open a bottle of red. Buckle your seatbelt and get ready to make history, baby. 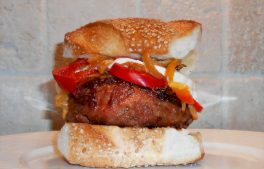 Welcome to the "Badda-Bing Burger" recipe—the way a burger is supposed to be made…Italian style!